All members are given the general code ; giving access to the courts and the outside loo. Need reminding? Email membership secretary , or ask another member. All full adult members are encouraged to also become clubhouse codeholders. See HERE for more details on KEYLESS ACCESS. Are you a full adult member of the club? Then you are encouraged to become a clubhouse codeholder! See HERE for more details on becoming a codeholder. If you’re a clubhouse codeholder, then you also have access to the floodlight masterswitch in the clubhouse. If you're a clubhouse codeholder, then you may be responsible for locking up. SEE HERE FOR GUIDELINES. All full adult members can reserve a court for casual play. SEE HERE FOR COURT AVAILABILITY. you can either take pot luck and simply come down to the club (a good idea to check court availability first!) - or you can BOOK any of the four courts (daytime or evening) whenever they're shown as available. SEE HERE FOR COURT BOOKING INSTRUCTIONS. Looking for a midweek runaround? Steve Perry organises mens doubles on Tuesdays & Thursday mornings. Contact Steve Perry if interested! If you have local tennis stories or photos that you think deserve to appear in the local press, then DO contact our Press Officer if you want any help in submitting your stories & photos! This Newsletter is ONLY sent by email . If needed, could you therefore share the newsletter with the rest of the family for whom we may not have individual email addresses! Another tennis year has flown by. Our new courts (in their wonderful new livery) and clubhouse are standing up well to the recent batterings from all these newly named storms, and play continues on regardless; both Social and Competitive. For the first time, we’ve had 2 ( and even 3! ) home teams playing at once on all 4 courts. Visiting teams are continuing to comment on and appreciate our fabulous facilities. With 4 Ladies teams and 3 Men’s teams across the Winter season, there is more tennis being played that ever before. I’m pleased to see all of the teams continuing to do well, with several in a good position for promotion. Good luck to everyone. Thank you to all of the volunteers, committee members and captains who continue to selflessly contribute to making the Club an ongoing success. It's very much appreciated by all, and contributes to making the Club a friendly and sociable place to be. We’re hoping to start up Junior competitions to compliment the Senior play. These will take place on both the Elbourn Arena as well as the Main courts, when Senior tennis is not scheduled. If you have children wanting to take part, then these competitions will be a fun way to get more involved. A huge thank you goes out to our Social committee, who have been busy running and planning activities across the Spring and coming Summer. Come and hear more about this at our ‘New Season Social’ event on Saturday 9th April. You’ll be able to sign up for teams, tournaments and coaching. Importantly, it’ll be a chance for you to feed back to the committee your thoughts on how the club is going, and what more we could be doing. Do keep an eye out for more emails and posters for this and other events across the year. So, a new season ahead of us, a growing Club and more members than ever before are playing. I hope to see you all down at Folly Park soon. 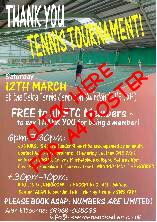 As a Special THANK YOU to you for being a member this year, we've organised an indoor tournament for THIS SATURDAY 12th March - at the Delta Tennis Centre in Swindon ( SN5 7XF for satnavs) . ALL Members welcome - all ages, all abilities, all categories. BUT - numbers ARE limited - so YOU DO NEED TO BOOK! 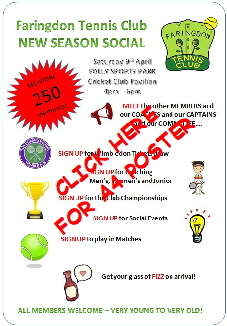 MEET your members and SIGN UP for EVENTS and TEAMS and TOURNAMENTS and COACHING and WIMBLEDON DRAW! Reporting on the new record membership and the seven teams now taking part in Winter league, this was very positive AGM, taking place almost exactly one year after the relocation to Folly Sports Park, and was made all the more enjoyable by one of Alan’s inimitable Quizzes. All officers and committee members kindly agreed to continue in their current roles. Steve Pugh was thanked for running the relaunched Club Tournament. Do remember that all members are very welcome to come to any committee meeting. Meeting dates going forward are posted HERE, where you will also find minutes from previous meetings. Next Committee Meeting is Tuesday 7th June - and Committee Meetings start at 7pm. Remember - it’s your club and your views that matter! HOW ARE THE SEVEN FARINGDON TEAMS DOING IN THE WINTER LEAGUE? If you’ve seen your March Folly (back page, top left) then you will have seen that we can hold our heads up high! You can check out the results so far on the Thames Valley Winter League 2015/16 HERE . For the four ladies teams - check out divisions 2, 3 & 6 . For the men - take a look at divisions 1, 4, & 7 . This is the first time that the club has put out three mens teams and four ladies teams, and amazingly, in four of the seven teams we’re in either 1st or 2nd spot. WELL DONE TO ALL TEAMS SO FAR! On Saturday 20th Feb, there were THREE Faringdon Ladies teams ALL playing HOME matches at the same time - against opposing teams. How is this possible?! We expect to receive our allocation shortly. As happened last year, the selection form will be emailed so that members can tick their preferences for dates. 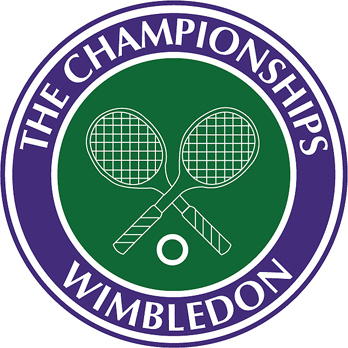 Members DO need to have a BTM (British Tennis Membership) number and to have registered for the Draw to qualify. The DRAW will take place on Tuesday 3rd May , at 8pm in the Clubhouse. WATCH THIS SPACE FOR FURTHER DETAILS! See HERE for more details. Subscriptions have been frozen at last year’s rates; ensuring that your subscription offers even better value for money than ever before! You will shortly be emailed the renewal form for all the individuals living at your address. There are MASSIVE discounts if you renew before 1st May, and there’s even BIGGER discounts if you take out FAMILY membership! The Subscription Year runs from 1st May 2016 through to 30th April 2017. There’s also two categories of membership for those who want to support their children or enjoy the social side - but aren’t necessarily players themselves. ONCOURT PARENT allows the parent accompanying their child or children to play with them. And NON-PLAYING SOCIAL MEMBER speaks for itself! MANY thanks to our Press Officer Adrian Noke, who does sterling work in ensuring that the Faringdon community gets to hear about our tennis-related exploits on a regular basis. And it’s always fun to look through the old press cuttings! Friday evenings ( 6.30-8.00pm) are the SPECIAL SESSIONS for those beginners and intermediates who feel that they first need to build up their confidence before coming to the Sunday or Tuesday Club Sessions! 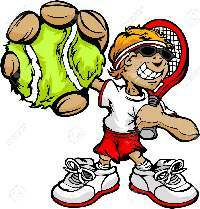 LOTS of Mini-Tournaments coming up this summer - for RED (8yrs & under) ORANGE (8 & 9 yrs) as well as GREEN (10 yrs) . DATES ARE BEING FINALISED THIS WEEK. DETAILS WILL FOLLOW! And Here’s a good explanation of the Mini Tennis Ratings system. More information to follow via email and posters at the courts. Contact Alan Elbourn (07969028066) or Mark Mobey (242636) for more details!. FULLY SUPERVISED BY ALAN ELBOURN! Sunday/Tuesday sessions are open to all full adult members, students, and juniors with passports. FRIDAY evenings are ROOKY NIGHTS ; mainly for beginners and intermediates who feel they first need to build up a bit of confidence - but ALL are welcome! SUNDAY sessions are from 10.30am-12.00 , and TUESDAY sessions run from 6pm-8pm. 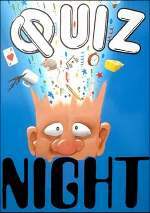 Rookie Nights start at 6.30pm. Simply turn up. Balls provided. See HERE for more details. MATCH PRACTICE SESSIONS take place for LADIES ON MONDAYS (from 7pm-8.30pm) and MEN ON WEDNESDAYS (7pm-8.30pm) . If you’re a full adult member of the Club (or Student member, or Junior-with-passport) and are interested in playing in matches, then you’re very welcome. Simply turn up to the Men’s Wednesday Session; for the ladies please phone the relevant captain first. 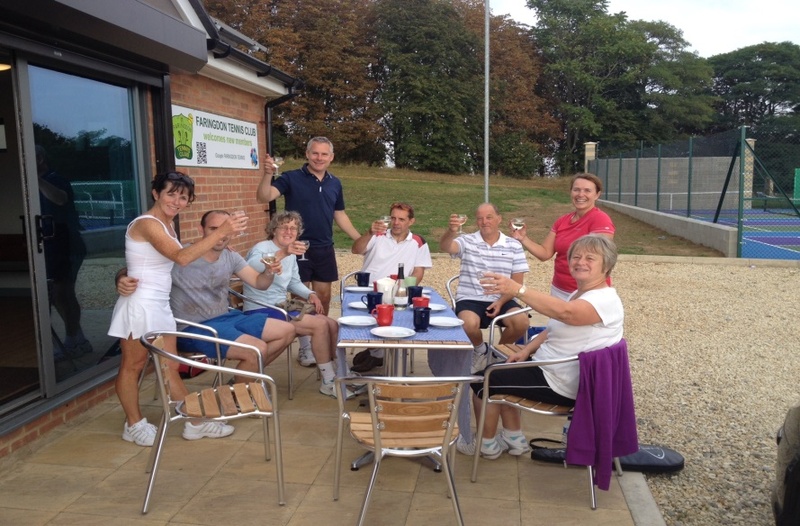 Rusty Rackets: Adults & competent juniors needing a confidence boost! Alan’s Saturday sessions are pay and play sessions which run all year, including school holidays. Susanna and Matt’s sessions run during term time only and details of course dates and costs will be forwarded each term. In general all group coaching sessions work out approximately £5 per person per hour. Over the course of the summer we will again be running Adult tournaments for Men’s Singles, Women’s Singles, Men’s Doubles, Women’s Doubles and Mixed Doubles – culminating in a Glorious Finals Day on Sunday 4th September to rival the SW19 event! p.s. please don’t worry in the slightest if you’re NOT into facebook or twitter or snapchat or instagram or ... you can also survive very happily without - as long as you’ve got your tennis! Remember: To get into the Members’ Area of the website (you’re in the Members’ Area at the moment!) 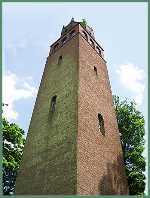 go to the homepage ( www.faringdontennis.org.uk ) - or any other page for that matter - and click on the cloud just to the right of the Folly Tower (top left of page) .